There was another 100 mile radius potluck tonight. 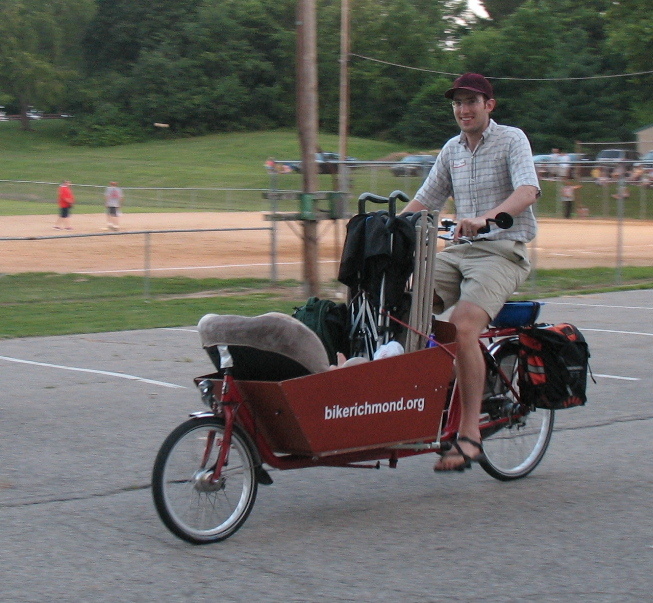 In the spirit of local self-reliance of the event, we wanted to get the family there by bike. Although the bike looks very full, there’s still room for another pannier we didn’t need (on the other side), and we could have simplified what we took, leaving the chairs and stroller at home. Also, my wife’s bike was completely unloaded, we could have spread out some of the load with her bike if we wanted to. The event itself was a lot of great food and good company, and the family picnic by bike was definitely a success.